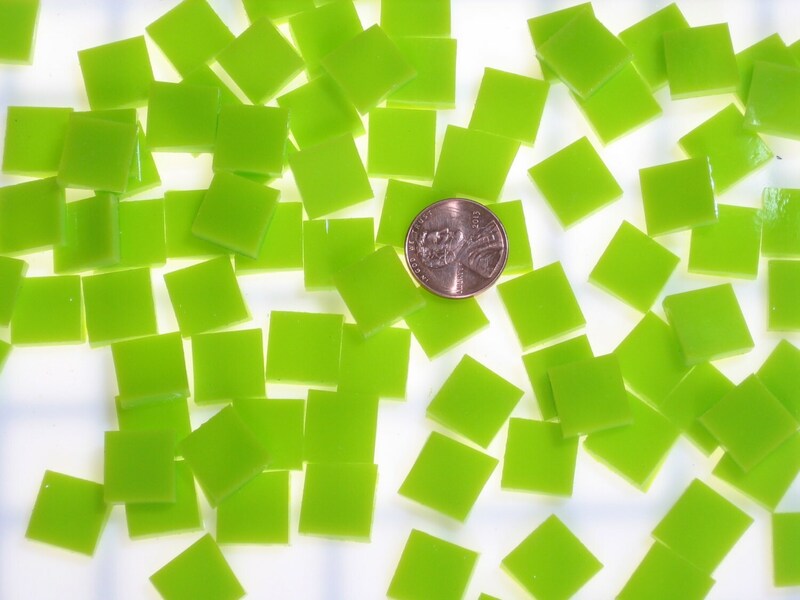 These Lemongrass Opal tiles are hand cut from Spectrum 96 Stained Glass which is Made in the USA! 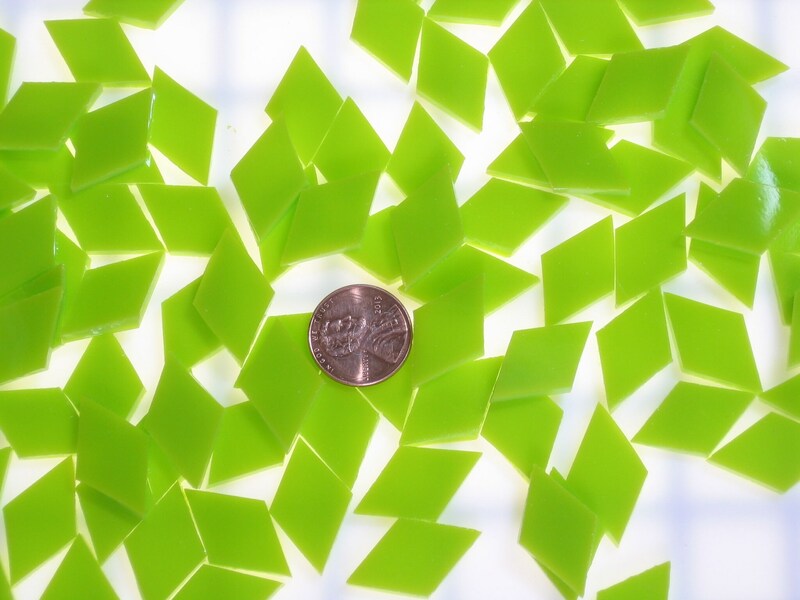 This color is a greenish yellow and tends to be a little more green than yellow, but is not as green as our lime green. 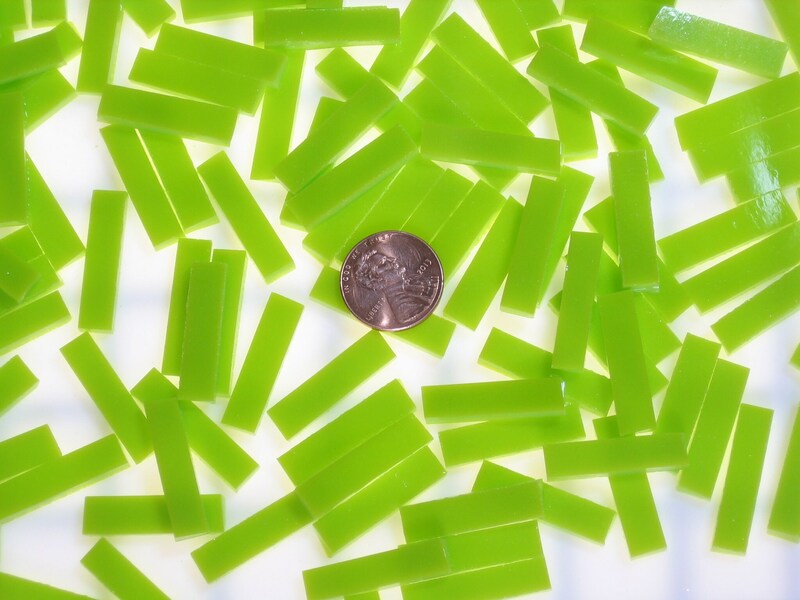 Lemongrass, is completely opaque,highly reflective, 1/8" thick, and can be used for mosaics as well as fusing. Shipping is one low price for your entire order and we ship USPS Priority Mail so you will get your order quickly. Most orders ship the same day we receive it! We gladly ship Internationally. 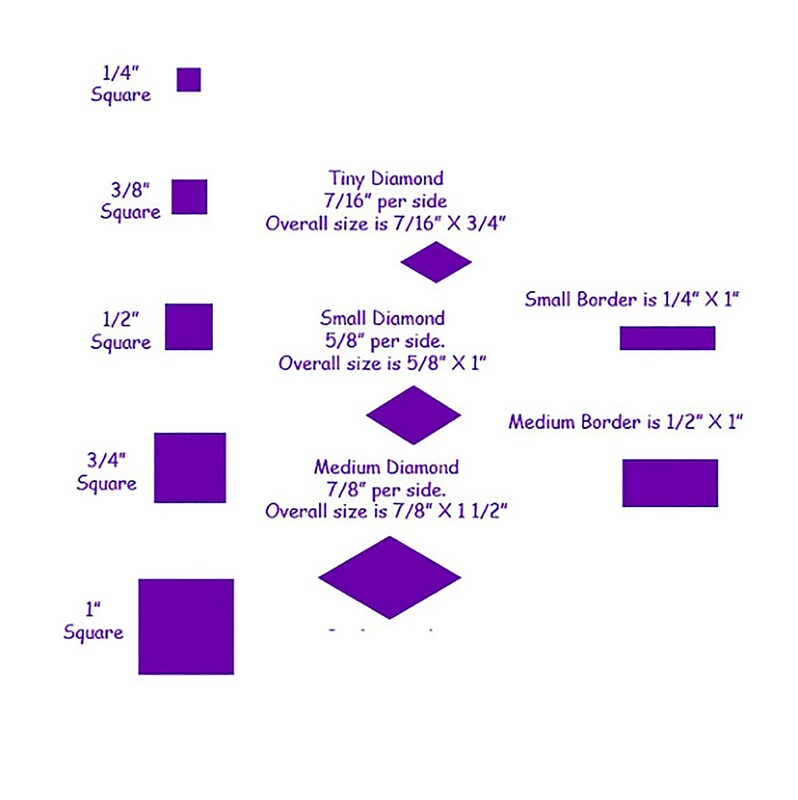 Just let us know what you're interested in along with your address for a quote.